entered to win a free shirt* of your choice PLUS get great deals and promotions delivered to your inbox! Dynamically designed by you based off your unique search, this customizable, casual and loose fitting t-shirt will quickly become one of your favorites. Made from 6.0 oz, pre-shrunk 100% cotton, it wears well on anyone. We’ve double-needle stitched the bottom and sleeve hems for extra durability. Red Lettering Modern marvel movies T-shirt. Dynamically designed by you, this customizable, heavyweight white t-shirt with red lettering. Custom letters stand out with a their bold red type and modern twist. Made from 6.0 oz, pre-shrunk 100% cotton, it wears well on anyone. We’ve double-needle stitched the bottom and sleeve hems for extra durability. 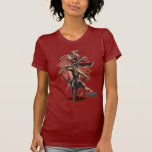 Dynamically created by you, this customizable, rocker shirt breaks the mold with its thin bright red artistic font. Made from 6.0 oz, pre-shrunk 100% cotton, it wears well on anyone. We’ve double-needle stitched the bottom and sleeve hems for extra durability. Dynamically designed by you, this customizable tshirt is sure to become a personal favorite. This Women's T-Shirt has a relaxed, with beautiful handwriting font design. Its incredible softness will keep you comfortable no matter what you are up to. Wear it by itself or under a sweater. Featuring Karen Gillan as Nebula, Pom Klementieff as Mantis, Zoe Saldana as Gamora, Dave Bautista as Drax, Elizabeth Olsen as Scarlet Witch, Scarlett Johansson as Black Widow, Chris Hemsworth as Thor, Sebastian Stan as Bucky, Chris Evans as Captain America, Paul Bettany as Vision, Benedict Cumberbatch as Dr. Stephen Strange, and Anthony Mackie as Falcon | The heroes and villains are arranged into groups and teirs, all leading up to Thanos with the Infinity Gauntlet at the top. Nebula and Gamora form the second tier. Corvus Glaive, Ebony Maw, Cull Obsidian, and Proxima Midnight form the third tier. War Machine, Bucky, Black Panther, Scarlet Witch, Captain America, Black Widow, Falcon, and Vision form the fourth tier. Drax, Star-Lord, Iron Man, Mantis, Spider-Man, and Doctor Strange form the fifth tier. Finally, Rocket, Thor, and Groot form the sixth tier. Featuring Letitia Wright as Shuri | Check out Shuri with her vibranium guantlets in this "Wakanda Forever" tribal graphic. Featuring Brie Larson as Captain Marvel | Check out Carol Danvers, Captain Marvel, with Goose the cat on her shoulders in this galaxy themed graphic. Featuring Lupita Nyong'o as Nakia, and Danai Gurira as Okoye | This graffiti street art style graphic features Black Panther, Nakia, and Okoye around the Black Panther logo and reads "Wakandan Warriors". Check out this funny typography quote that reads: "Nick Fury. No Joseph. No Nick. Everyone calls me Fury, including space people". Featuring Lupita Nyong'o as Nakia, and Danai Gurira as Okoye | Check out Nakia and Okoye posed with their weapons in this Wakandan tribal art graphic. Featuring Dave Bautista as Drax, Scarlett Johansson as Black Widow, Chris Hemsworth as Thor, Sebastian Stan as Bucky, Chris Evans as Captain America, Paul Bettany as Vision, Benedict Cumberbatch as Dr. Stephen Strange, and Anthony Mackie as Falcon | This red and blue gradient Avengers Icon features Thanos and a few of our heroes within its outline: Iron Man, Doctor Strange, Black Panther, Drax, Thor, Bucky, Captain America, Falcon, Vision, Spider-Man, and Black Widow. 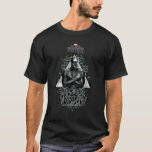 Check out Black Panther with his arms crossed in this triangular graphic that reads "Wakanda Forever". Featuring Zoe Saldana as Gamora, Elizabeth Olsen as Scarlet Witch, Danai Gurira as Okoye, and Scarlett Johansson as Black Widow | Check out Gamora, Scarlet Witch, Okoye, and Black Widow in this colorful, galactic graphic, weapons and powers at the ready for this fight! Featuring Brie Larson as Captain Marvel | Captain Marvel raises one hand and clenches the other in a fist, both sparkling with stellar light energy. Check out Goose the cat in this constellation graphic, featuring Captain Marvel flying past and her star logo in the back. This retro style Captain Marvel graphic features her looking up to the stars, with the words "Higher Further Faster" written in stylized lettering below. Check out this cool graphic of The Hulk, featuring the quote "We Have A Hulk" written below him. 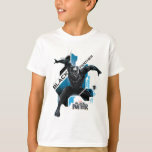 Black Panther crouches with arms outstreched in this high-tech graphic with tribal pattern edges that reads: Black Panther, King of Wakanda. Featuring Brie Larson as Captain Marvel, Chris Evans as Captain America, and Chris Hemsworth as Thor | Check out this Avengers: Endgame graphic featuring our heroes The Hulk, Captain Marvel, Captain America, Thor, Iron Man, and Rocket rushing into battle with the Avengers Logo to the side. Thanos, wearing the fully powered Infinity Gauntlet, is stylistically shattering into triangle shards in this graphic. Featuring Chadwick Boseman as T'Challa, Michael B. Jordan as Erik Killmonger, Danai Gurira as Okoye, Lupita Nyong'o as Nakia, Forest Whitaker as Zuri, Angela Bassett as Ramonda, Martin Freeman as Everett K. Ross, Daniel Kaluuya as W'Kabi, Andy Serkis as Ulysses Klaue, and Letitia Wright as Shuri | Check out the cast of Black Panther overlooking the city of Wakanda within this Wakandan themed frame, a mixture of Wakandan tribal patterns within high-tech shapes.